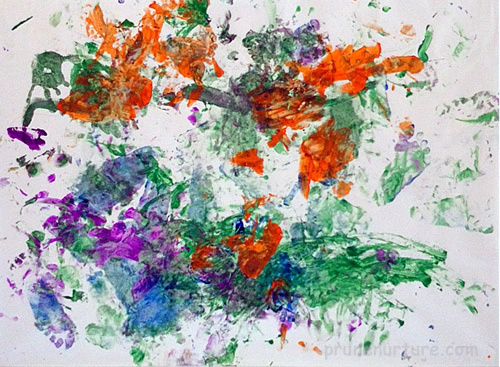 Dot enjoys drawing and painting with her hands, feet and brushes. Messy but very fun! These are some of Dot’s works that I love. 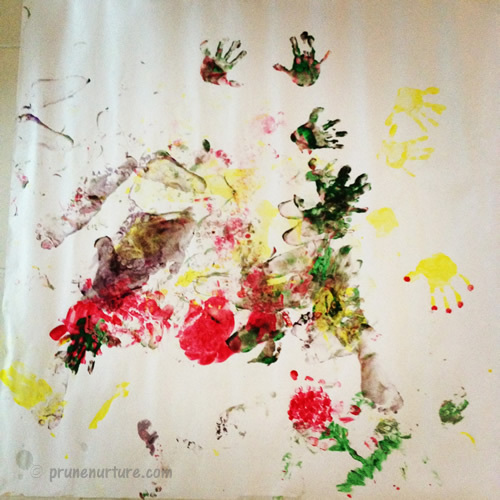 This gallery helps me to remember her “creative” art work at different stages of her life. 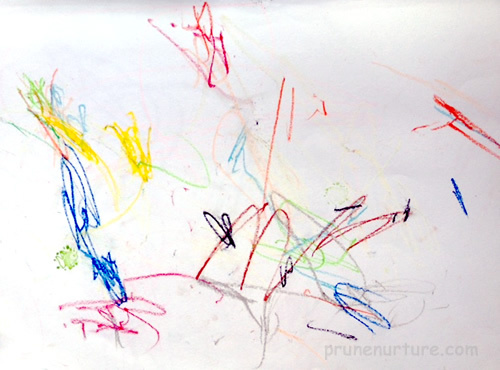 Nov 2011 - Dot painted her first picture -“Bird” at Big Draw. Click image to read more. 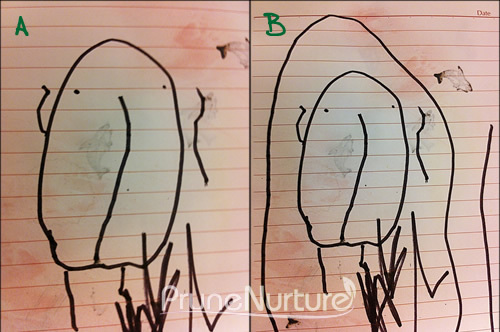 4 Dec 2011 - Dot drew dad and mom using pastel crayons! 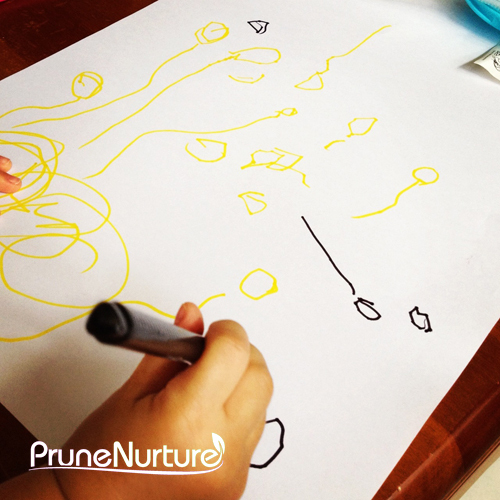 Can you decipher her drawing? 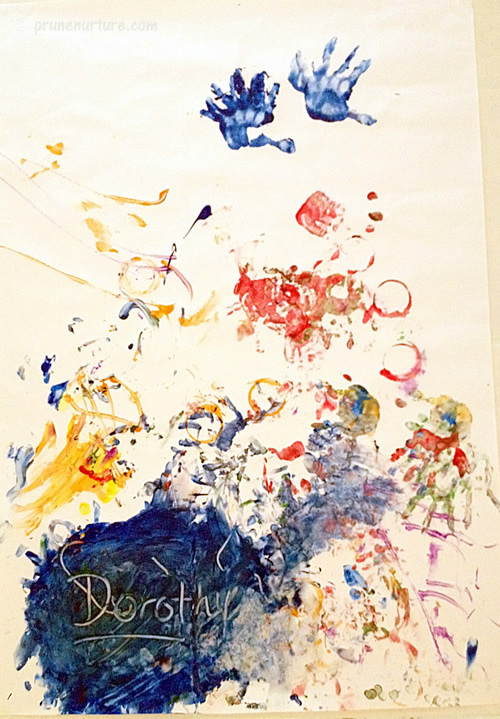 11 Jan 2012 - Messy and fun painting for toddler. Click image to read more. 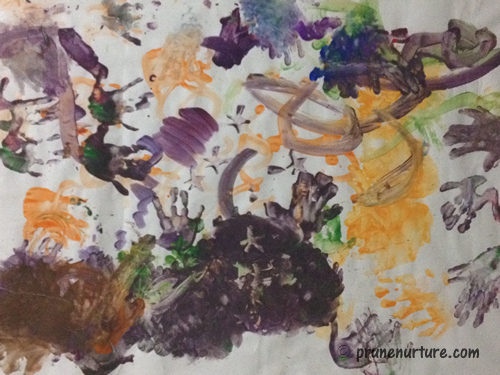 30 Mar 2012 - Dot used a bottle, ear buds, hands and feet and paint to do this piece of work. "Dorothy" is written by me. The rest are done by Dot. 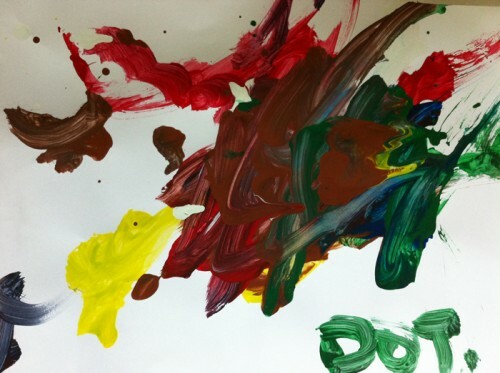 12 June 2012 - Dot's hand painting in the morning. 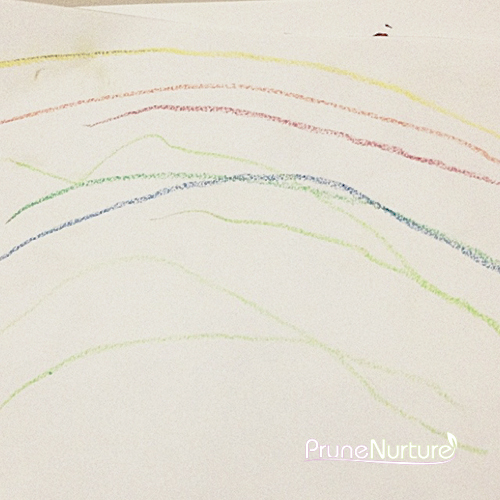 11 July 2012 - Dot drew her first rainbow on her own. 8 Aug 2012 - Dot drew her balloons for the very first time! 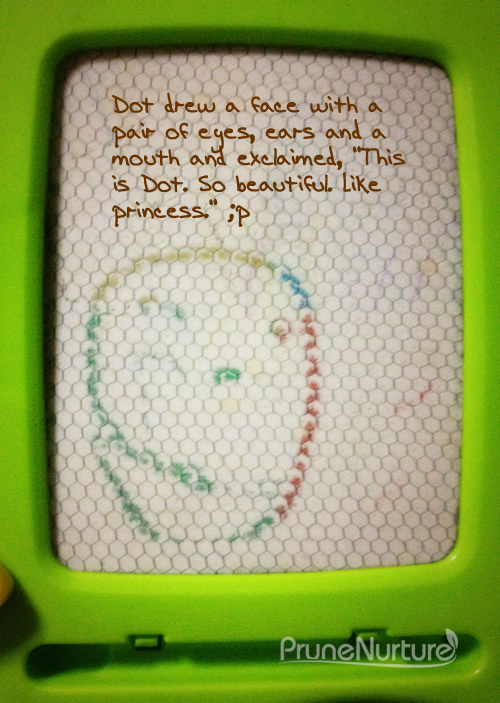 9 Oct 2012 (32 month, 2 week old) - Dot drew her own face. Previous postOur walk at the last 'kampung' in Singapore - Pulau Ubin Next postWould you allow your children to eat mud? Wow~! this is lovely^^. I’m waiting to let my no. 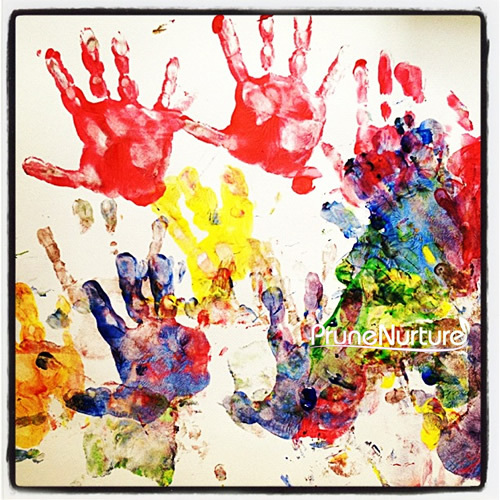 2 to hands on the colourful fun. She is, somehow, still hesitate on the mess and “yike”. My no. 1’s work is everywhere of my house: http://scrapmumloft.blogspot.com/2011/08/simple-curtain.html; http://scrapmumloft.blogspot.com/2011/08/little-space-of-mine-dollop-of-my-home.html. yup, I’m a crazy mum. Nice blog you have here:). Nice know you too.